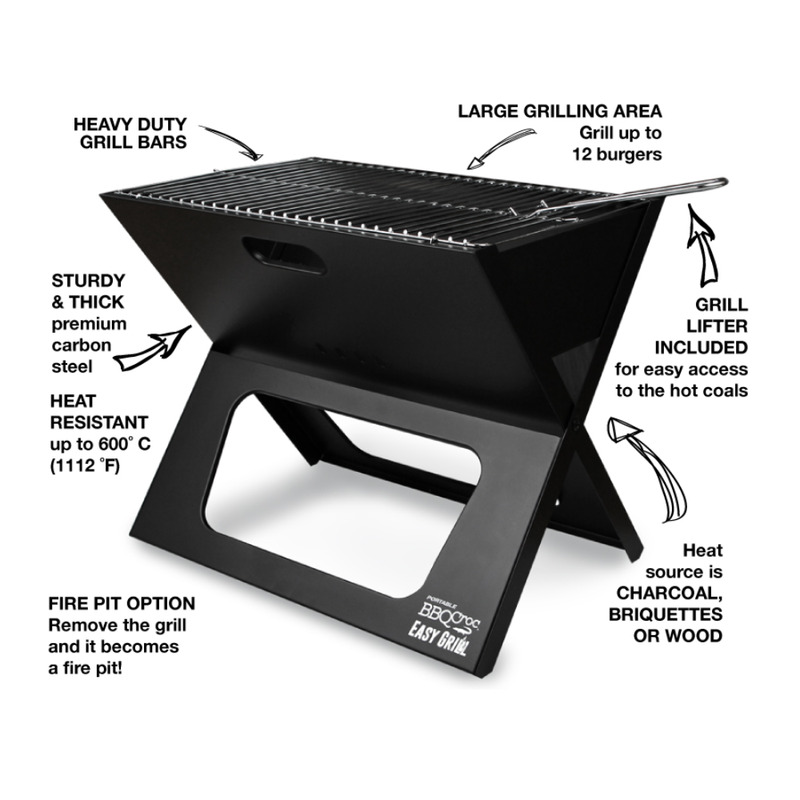 This innovative portable charcoal BBQ is the most compact on the market. Folded, it has a width of only 1 1/4 inches and carries just like a briefcase, making it perfect for traveling! 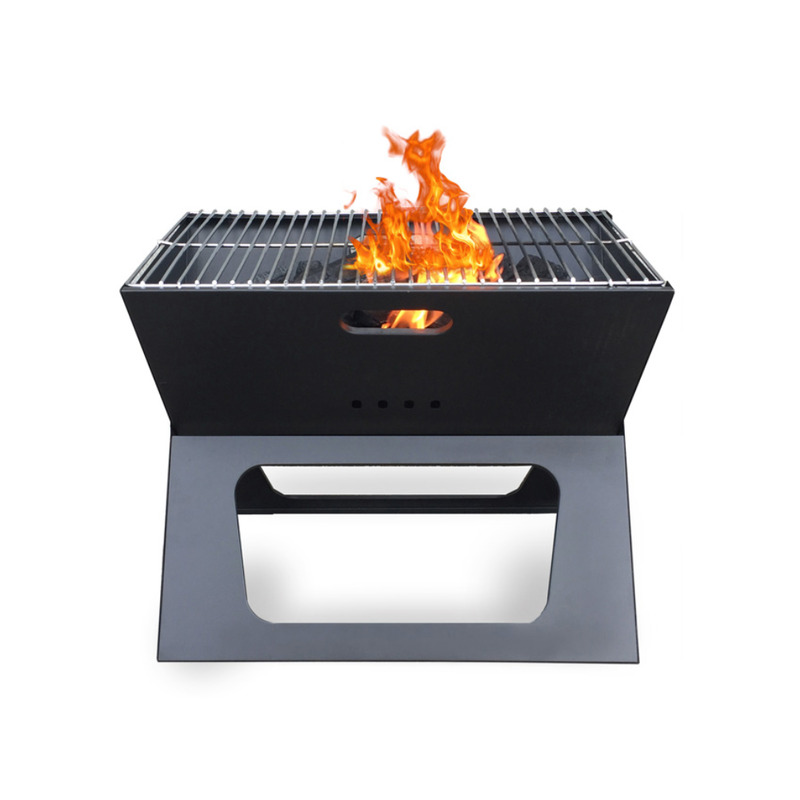 As a heat source, this grill will accept briquettes, charcoal and wood pieces of all types. Transforms into a Fire pit when the upper grill is removed. Up to 12 burgers can fit on its very large, 212 in2, grilling area. 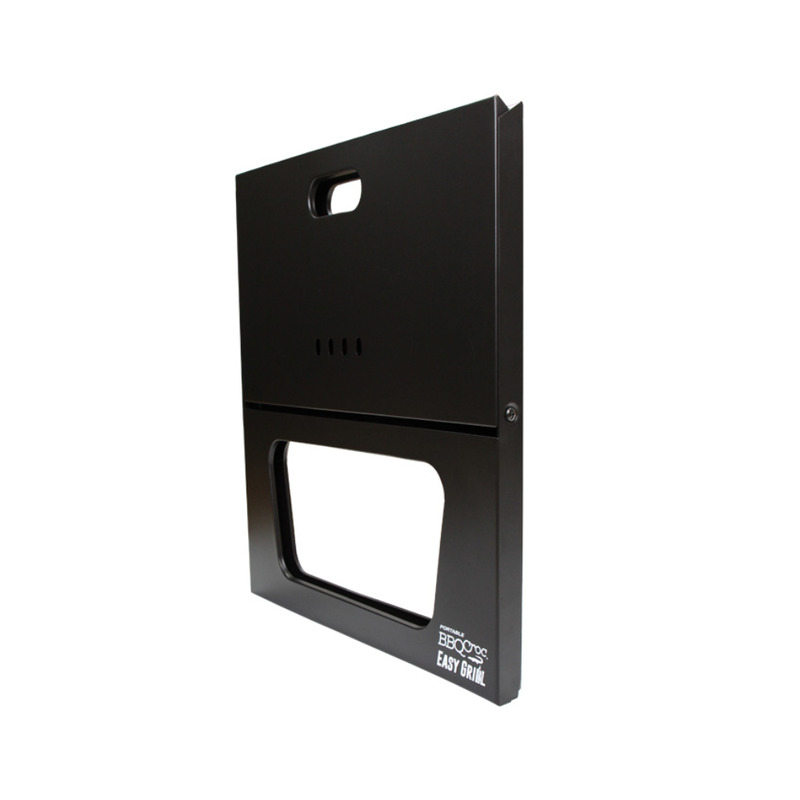 Made of premium carbon steel, it can resist up to 600 °C (1110 °F). 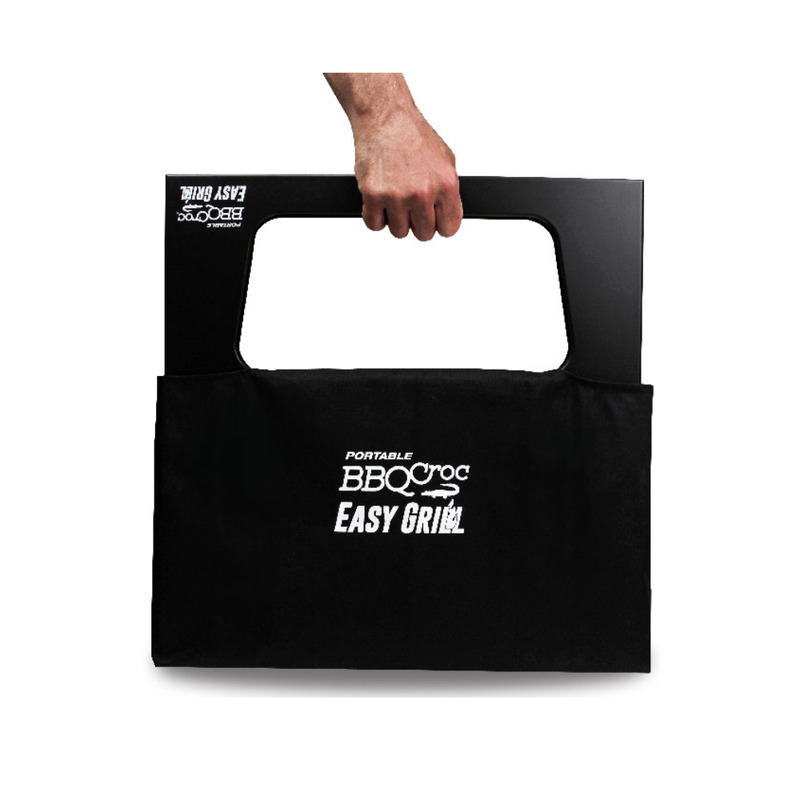 Comes with a travel bag to ensure cleanliness and a grill lifter for easy access to the hot coals. Ideal for camping, tailgating, RVs, the beach, fishing and all Outdooring activities. Copyright Backyard Pool Superstore. All Rights Reserved.